There's a reason why soundbars are popular. It's a solution that requires a minimum of wires and intrusion onto home décor. The designs tend to blend well with modern flat screens. If you like to mount your flat screen TV on the wall, they can fit neatly above or below the display. Most of them come with a wireless subwoofer, which helps provide the needed bass punch for movie sound effects and the low end in music. Wireless connectivity options let you stream music easily through them as well, and some can even connect wirelessly to certain TVs. What’s the downside? A soundbar can never match the full surround capability of a separate receiver or amplifier and speakers. The soundbar packs all its speakers (except the subwoofer) into one enclosure, and no matter how good the design and construction, it’s difficult to achieve fully immersive surround on par with separate components. That said, soundbars might be an excellent choice for a bedroom or a small to medium living space. Not only that, some soundbars can be combined with separate surround speakers, as we did with a custom Leon soundbar and B&W speakers in an award-winning project in Plymouth. You can get excellent sound quality and a great virtual surround experience, but you won’t get quite the soundstage that you will from a properly installed surround audio setup. Many speaker choices at all the positions – freestanding, on-wall, in-wall, in-ceiling, etc. Of course, the full surround system is more involved. You need some space to house the receiver or amplifier, and wiring to run to all the speakers, which will likely entail running them through walls or under carpeting at the very least. But you will also have a better sounding system and one that is flexible. Speakers can be upgraded without upgrading the receiver in many cases. More importantly, electronics like receivers get updated more frequently than speakers, which can last decades if you purchase high-quality brands like the ones we carry. 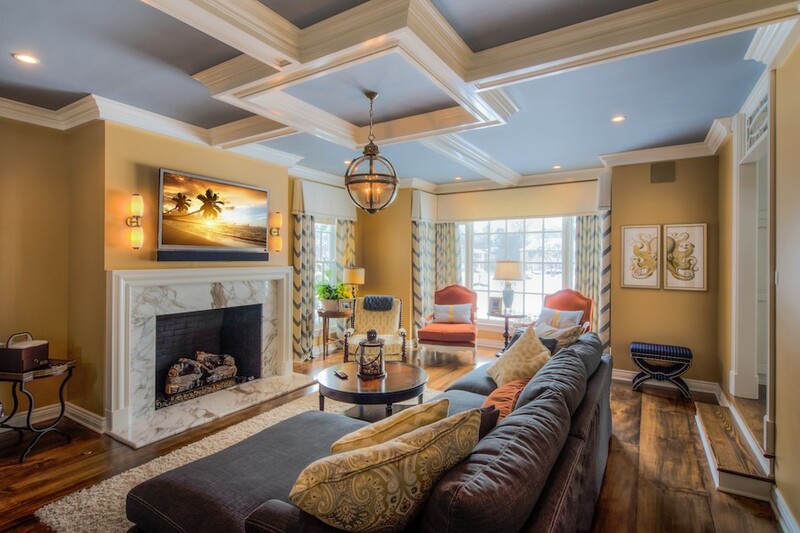 Regardless of which way you want to go for your surround setup in Minneapolis, Lelch Audio Video is proud to be Minnesota’s expert source for custom home audio installations. With either the minimalist approach of the soundbar or a full audio system, we provide a well-integrated, great sounding system that fits seamlessly into your space. Reach out to our team today by clicking the button below.